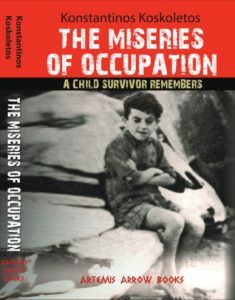 The English language "Miseries of Occupation: A Child Survivor Remembers" is currently available on Amazon.com. 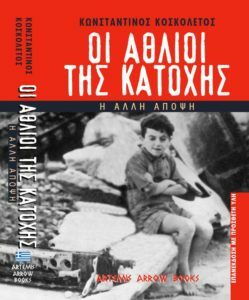 The Greek language "ΟΙ ΑΘΛΙΟΙ ΤΗΣ ΚΑΤΟΧΗΣ"("Miseries of Occupation" ) is currently available by contacting Artemis Arrow Books here. 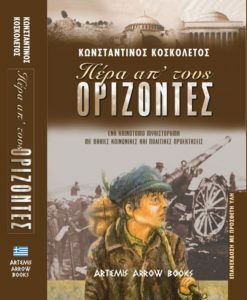 The third book in the Artemis Arrow catalog, "ΠΕΡΑ ΑΠ' ΤΟΥΣ ΟΡΙΖΟΝΤΕΣ"("Beyond the Horizons") is also a Greek language title available here. Click the Flip Feature for front and back cover images. 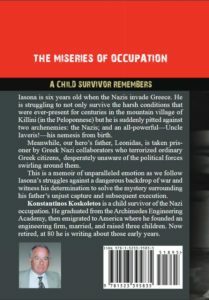 Click here for Amazon "Miseries of Occupation" book reviews. 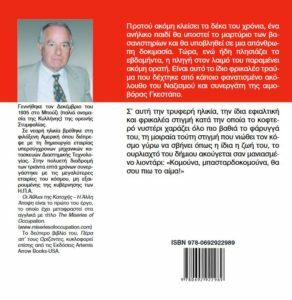 Be the first to review the Greek Language "Miseries of Occupation" here. 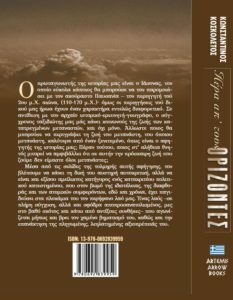 Click here for book reviews for "ΠΕΡΑ ΑΠ' ΤΟΥΣ ΟΡΙΖΟΝΤΕΣ" (“Beyond the Horizons”). © 2018, Artemis Arrow Books, LLC.. All Rights Reserved.